Hey dolls! So this Monday Stardoll brought out a new 'Versace Tribute Collection' without too much warning. 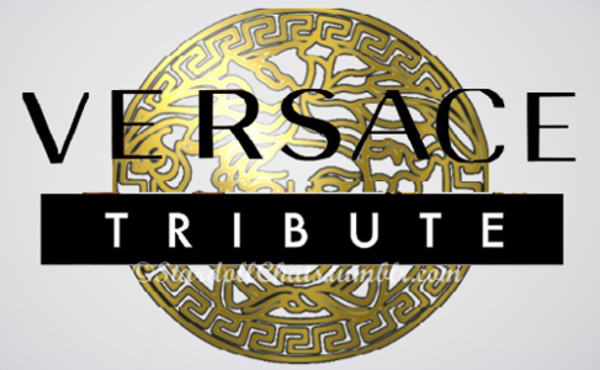 The Versace brand is very popular among celebrities. Lady gaga recently shot a campaign for the Spring 2014 collection below. The dress she is wearing may have inspired the 'Lilac Banded Dress' beside it in stardolls collection. It is a very popular brand for the red carpet worn by Beyonce, Nicki Minaj, Leighton Meester, Miley Cyrus and many more. Jemjem123 is wearing the Vogue Cardigan that looks like it is inspired by the image above from 1992. So the Verdict? Guilty - of being an amazing collection. With it's diversity in style and brilliant colours, how could you not fall in love with this collection! I know I will be buying.